It’s the bleak midwinter—technically almost spring, but since most of the country is weathering an historic cold front/drought/insert-unpleasant-weather-system-here, this is the perfect time to cash in your Stash points for a beach vacation. These 10 beach hotels break the traditional beach-hotel mold—each offers ocean, sand, and a slice of culture unique to their particular stretch of sand. The Buccaneer, St. Croix, U.S. Virgin Islands. A paradisaical Caribbean resort with beachfront bungalows and more than 300 tropical acres to explore, The Buccaneer has been family-owned and operated for 67 years. The Portofino Hotel & Marina, Redondo Beach CA. 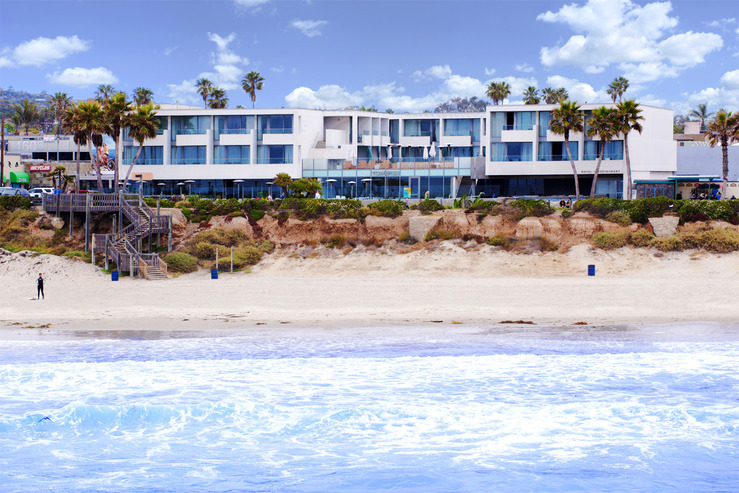 Views of sailboats and the sunset and its very own, very talkative sea lion colony make this maritime hotel a favorite upscale retreat. What we love: Cannonball Run fans (and if you haven’t seen Burt Reynolds and Farrah Fawcett at at their finest, you’re in for a treat), The Portofino’s hotel was the finish line of the race: competitors had to ring the bell on the front desk to win. LaPlaya Beach & Golf Resort, Naples FL. Front row seats for this ocean view come with cold towel and sorbet service. 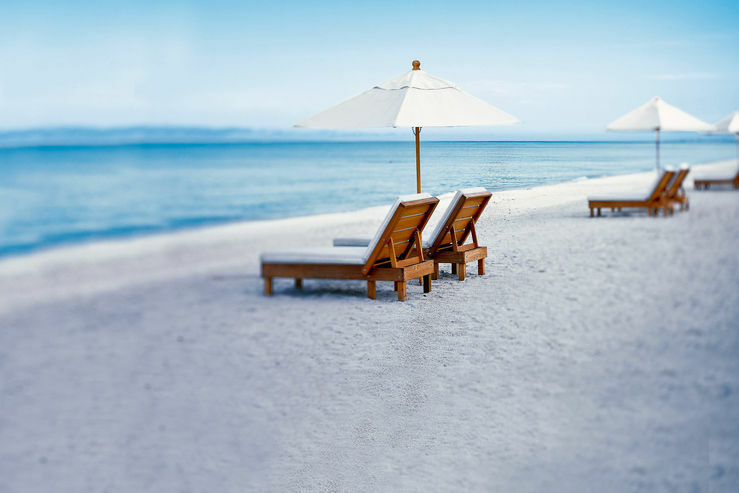 This is an intimate luxury resort set apart from the crowds, with an Old Florida feel. Take advantage of their Frostbite Relief deal: bonus points, a resort credit and more. What we love: Gathering round the beach fire pit to roast marshmallows or for the last cocktail of the day. Ocean Key Resort & Spa, Key West FL. This Condé Nast Gold List resort is a plush oceanfront resort with Key West flavor: bright citrus colors and ceiling fans in your room, a bird’s eye view of the antics on Mallory Square from the private pier. What we love: Grabbing dinner on the pier: fried blue crabs and more flavors of Bacardi than we knew existed. Tower 23, Pacific Beach, San Diego CA. Architecture buff? Surf Betty? Both? (If yes: you’re our hero!) Tower 23’s neo-modernist glass walls glow from within at night; ceiling-fill baths and shell-white Egyptian linens make this the perfect crash pad for the haute beach bum set. What we love: Curling up on the Tower Deck to watch the surfers come in from their last rides at sunset. Grande Bay Resort, St. John, U.S. Virgin Islands. The resort’s roomy suites each come with ocean view balconies and secure underground parking. Spend the day at Trunk Bay, or charter a boat to St. Thomas. What we love: You’re less than a minute’s walk from rum drinks and crab rolls at the Banana Deck. No guarantees on how long it’ll take you to get home—but no worries, you’re on island time. The Island Inn at 123 West, Friday Harbor, San Juan Islands WA. Northwesterners know the secret: the San Juan Islands in winter are just cold enough to make cozying up indoors by the fire a delicious way to spend an afternoon, but not too cold for a walk along the harbor or the wild, natural shore. What we love: Affordable penthouses with spiffy new kitchens big enough to cook for a crowd … and a surprising number of A-list restaurants within walking distance. The James Royal Palm, Miami Beach FL. 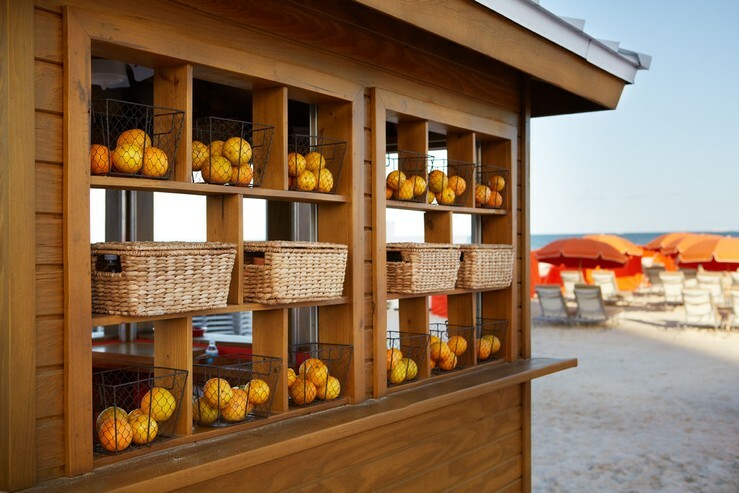 A fresh take on Florida cuisine, talented local artists, boxes filled with fresh, chilled papaya, pineapple and watermelon delivered to your beach chair, and oh, that beach! What we love: The redesign pays homage to Ocean Drive’s architectural history: the translucent glass desk in the lobby is an Art Deco original. SeaCrest OceanFront Hotel, Pismo Beach CA. Miles and miles of Pacific Ocean beach, relaxed Cali Coast atmosphere, retro-modern design, and outdoor hot tubs. What we love: Pismo Beach is one of the few California beaches where dogs can run off-leash, and SeaCrest’s pet friendly rooms have direct access to lawns and the beach. Pelican Grand Beach Resort, Fort Lauderdale FL. Oceanside dining, a private sandy beach, and a veranda for end of day cocktails. Goodnight, Moon! What we love: Pelican Grand gets kids—there’s a lazy river at the pool and an old-fashioned ice cream shop for those vacation-saving mid-afternoon sugar breaks. Beautiful spots, but isn’t the water temperature at these beaches cool? Last time I went to the island beaches on the Atlantic side end of January and first week in February only the kids were in the water. I heard the Gulf beaches were cool this year also. I was considering Grand Cayman and south.